Shaving against the grain stirs quite a debate among shaving enthusiasts out there. 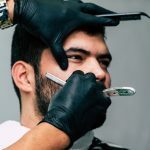 Some say it should be done to get a closer shave, others say it should never be done as it can irritate skin and lead to ingrown hairs. What do I say? I say you should just make sure you do it right, then the “downsides” are irrelevant. These are all completely avoidable. The problem most people face when it comes to shaving, is not really knowing how. 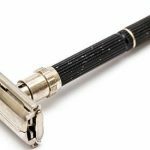 We’ve all seen the commercials that claim the latest razors are sharper than ever, and require fewer strokes than ever to shave with, so we think we just need a few simple down strokes with the grain, and we are good to go. It doesn’t really work out that way does it. 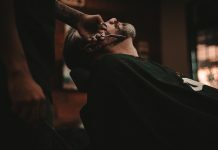 Are you really satisfied with this type of shave? I know I wasn’t. That’s why I researched shaving a lot, and ended up making the switch to straight edge razors. However, even if you stick with a regular wet razor, you should still learn how to properly shave against the grain. Additionally, there are some simple steps you can take to avoid all of the above, and get the best shave you’ve ever had while doing it. Warm up your face before you shave – Either use a hot towel, or just take a hot shower first. 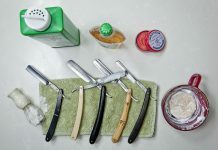 Practice the three pass shave – Shave with the grain first, then re-lather and go across the grain, before re-lathering a final time and shaving against the grain. 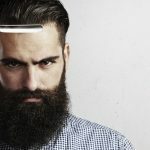 Always use a sharp razor – Don’t try to squeeze out a few extra shaves from your blade. 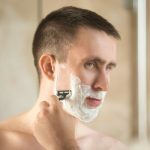 If you hate having to keep buying new razor blades and putting up with dull shaves, consider making the switch to a straight-edged razor. One blade lasts for life in most cases. The most important thing for you to do is shave WITH the grain first. 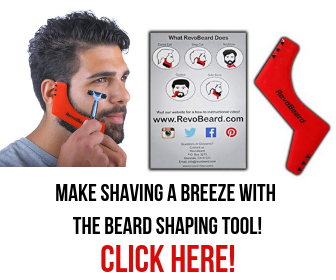 It will take most of the stubble off, and will set you up for an AGAINST the grain shave without any irritation. 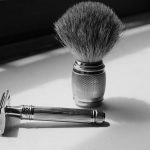 Shaving doesn’t have to be a chore or a mundane task we have been born into, it can be a comfortable, enjoyable past time. That is the mantra of this website. 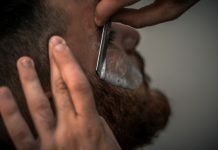 (It’s also the mantra to let people realize that certain “truths” about shaving with razors are in fact “myths” – Like wet razors providing a better shave for example). Previous articleA Shaving Mug Gift Set – What Should It Include? 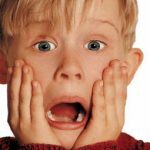 Next articleManly Gifts For Men – What Could Be Better? Nice post. I’ve been shaving against the grain for years – can’t get a decent close shave otherwise. The only problem I’ve aver had was razor burn – and infrequently at that. More often than not, it was my own fault for not using a sharp enough blade. Yeah I know what you mean, I used to be the same. In truth it just takes a bit of extra effort and planning to enjoy a much better shave, but most of us are lazy. Hey Dom, I used to get serious shaving rash after I shaved. Then I came up with this strategy. First I have a shower which I do every morning then I shave. This way my stubble is nice and soft and comes off very easily. I do the three pass shave. It works for me but the blade has to be sharp if I try with it blunt it will still leave a rash. A sharp blade leaves no rash and a clean shave. Nice, you follow it quite similar to how I think most people should do. How long does your blade stay sharp before you need replacing it though? If it’s one of those replaceable cartridges, the manufacturer’s claim 10-20 shaves, but I find it isn’t really that long. When I first started having to shave regularly I ALWAYS shaved against the grain, usually with a dull razor, and I never could figure out why my skin was so irritated. Durr. Though I eventually figured out this was the problem, it turns out that this is common knowledge! 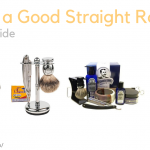 Well, using a straight razor means you don’t need to shave as often. Think about it, the closer the shave, the longer it takes to grow back! I agree with Hamish. As long as the blade is sharp, against the grain delivers the closest shave. Glad to find so many people agree with me on this! I was surprised when I learned how many places advise against it. Great article. It’s very informative and the guidelines are easy to implement giving great results. I personally like to start my shave off with shaving with the grain then finish off with going against the grain. I then finish the job with a cool water splash to close them pores up and some bay rum to seal the deal. Thanks for sharing Dominic! Pores don’t actually change in size though, so while hot-water might help the skin contract, the pores will stay the same size. Who knew eh? Nice method. However, I advise against facial scrub for those with sensitive skin. I also am a big proponent of pre shave oil and olive works fine. The main advantage to a cold rinse is to reduce inflammation and redness. I also avoid aftershave but use an oil moisturizer. I also find the modern 3-5 blade razors to be gentle and effective, but avoid BIC. Stick to Gillette , Wilson sword, etc. 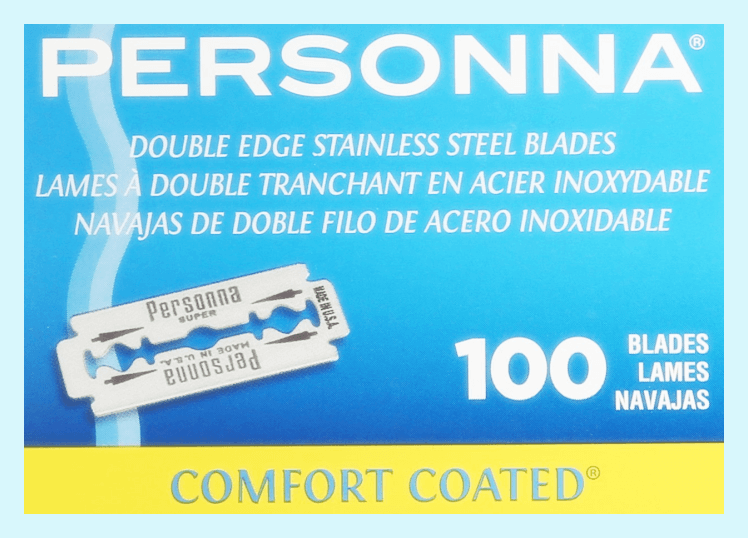 Hello, I have sensitive skin but I have been trying the double edge razors and love them! Only problem I have and always have had since shaving (even with cartridge shavers) is cutting myself when going against the grain. I really hate it because I want a very, very close shave. I am not familiar with how to do this properly I suppose. Maybe I should try a much sharper blade in my safety razor? I have Astra which I haven’t used yet. Been using Gilette 7 O clock blades so far and I don’t think a feather blade would be smart with sensitive skin right now. Ideas?